In 2012 modern civilization is coming to an end. Global economics have been disrupted, money has lost its value. People have risen against the ignorant politicians who were just lining their pockets – and they didn't spare any of them. However, those who really ruled the world were prepared - and escaped. Suddenly billions of people died from a strange virus, while others turned into butcherly beasts with just one thought: TO KILL! Only a few people on the planet have survived, at least until they run out of ammo... or learn how to stop them...” Smash hordes of bloodthirsty zombies * Secure vital supplies * Save other survivors * Protect the Safe Haven * Explore the city * and uncover the provoking truth in this intense FPS action game! The visuals are absolutely captivating, and are an excellent inexpensive way to showcase just how beautiful games could be on the new iPad. However, as a game, Dead Trigger just falls flat in terms of implementation offering the same dull freemium-based experience that we’ve seen before. As it stands, gamers that don’t mind the incredibly simplistic stylings of a monotonous mission-based race for cash will probably enjoy Dead Trigger but for everyone else, it all depends on how high nice graphics are on your priority list. 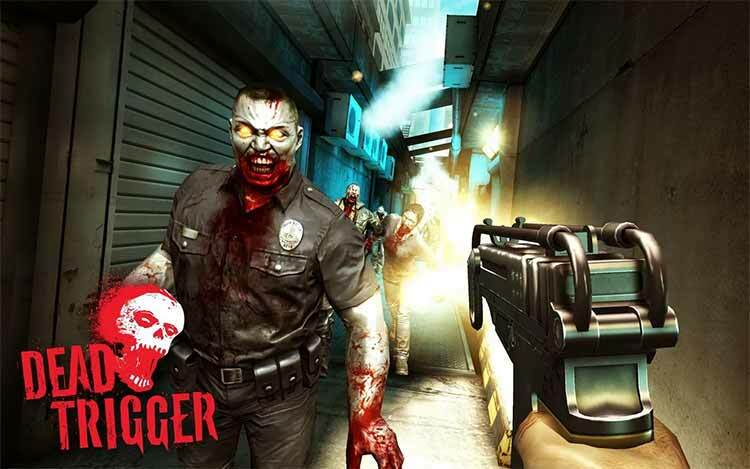 Stupendous mobile game graphics, a powerful collection of weapons and equipment, mowing down zombies and seeing their heads splatter, affordably-priced in-app cash and gold, surprisingly responsive first-person controls. 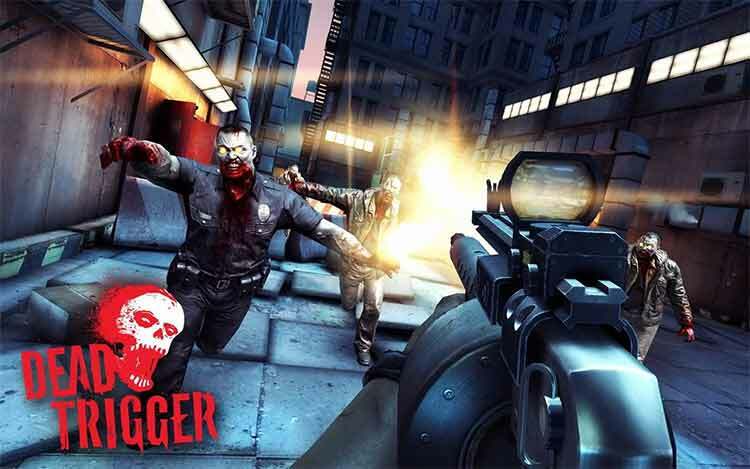 Even without the mysteriously absent staples, Dead Trigger is still a fun arcade-style zombie shooting romp. It’s probably not going to make everyone happy (what game ever would? ), but it certainly does a much better job than some of the competition. At the end of the day, Dead Trigger feels much more House of Dead than it does Left4Dead. A generic zombie shooter that may as well be on rails, if perhaps the most gorgeous one I’ve ever seen on a mobile device. It goes without saying that red barrels explode when shot, killing nearby zombies and all the known cliches of z-gaming apply to Dead Trigger. Have for example that if you shoot a zet at his legs he will crawl instead of shuffling. Therefore, a must have for every FPS lover and for every Z-gamer, but too heavy and demanding for casual players. 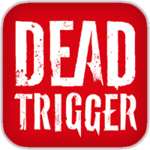 Dead Trigger pushes the visual boundaries of iDevices, but much like its shambling antagonists there's not a lot going on upstairs. 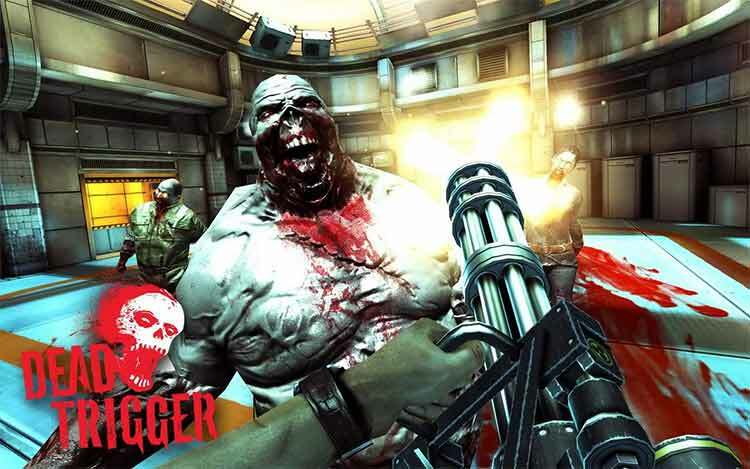 Dead Trigger is totally braindead and quickly gets boring, but you'll find enough enjoyment for your 69p. 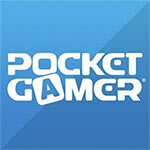 In-app purchases and ill-thought-out controls can spoil the fun. Los shooters subjetivos siguen copando los lanzamientos semanales de Apple Store, siendo Dead Trigger uno de sus representantes más recientes… que nos ha dejado un sabor agridulce. Y es que si bien técnicamente no hay quien le ponga tacha alguna, se trata de un shooter no muy inspirado ni imaginativo, ofreciendo más o menos lo mismo que ya han exhibido decenas de títulos antes que él. Madfinger nos sorprendió con Shadowrun, un juego verdaderamente ambicioso para iOS, y con este Dead Trigger, nos ha vuelto a conquistar. Al menos, en parte. 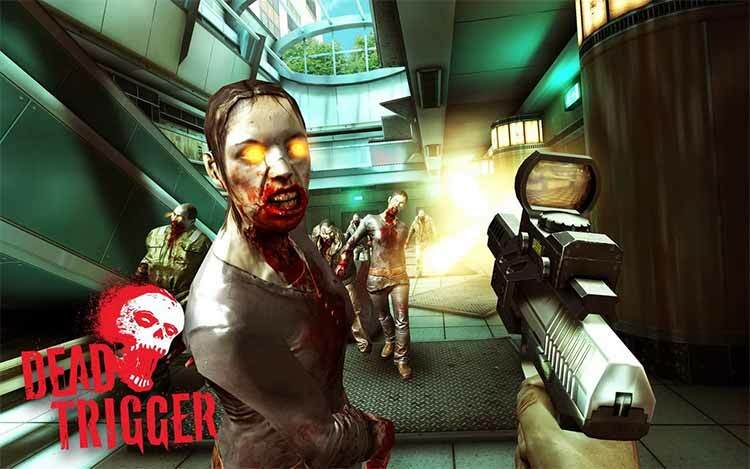 Pese a que Dead Trigger jugablemente sea un poco repetitivo y simplista, guarda algunos conceptos interesantes bajo su haber -misiones constantes y casi infinitas-, un apartado técnico sin parangón en iOS, y un buen trabajo en los controles -pese a que no tenga un modo para los aficionados a controlar los FPS con acelerómetro-. No será la revolución, ni mucho menos un título para rasgarse las vestiduras, pero entretiene, es bastante económico, y ofrece versión para iPad. 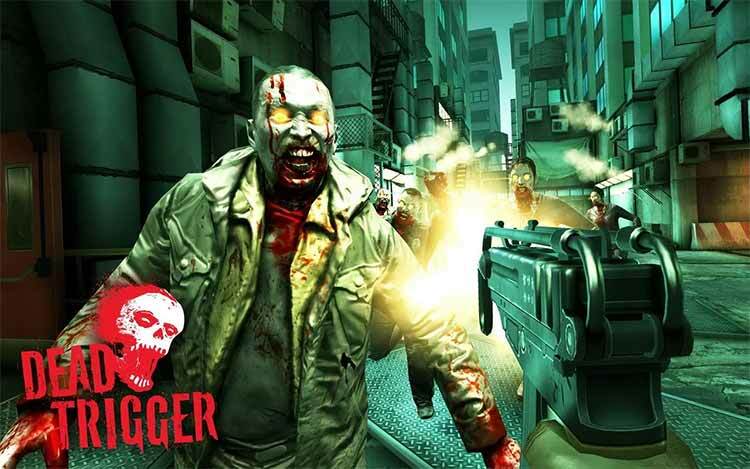 Si quieres matar zombis, con Dead Trigger podrás pulsar el gatillo hasta saciarte. Considerato il prezzo a dir poco invitante e la grafica assolutamente strepitosa, Dead Trigger è un prodotto di sicuro richiamo, visto anche il suo modo di offrire dell'azione FPS frammentata in brevi livelli che ben si sposano con lo standard del mobile gaming: allo stesso tempo, però, il titolo mette in mostra un paio di scivoloni davvero grossolani degli sviluppatori, che sembrano essersi dimenticati di garantire una sufficiente varietà al prodotto e di curare maggiormente un sistema di controllo impreciso ai limiti dell'irritazione.